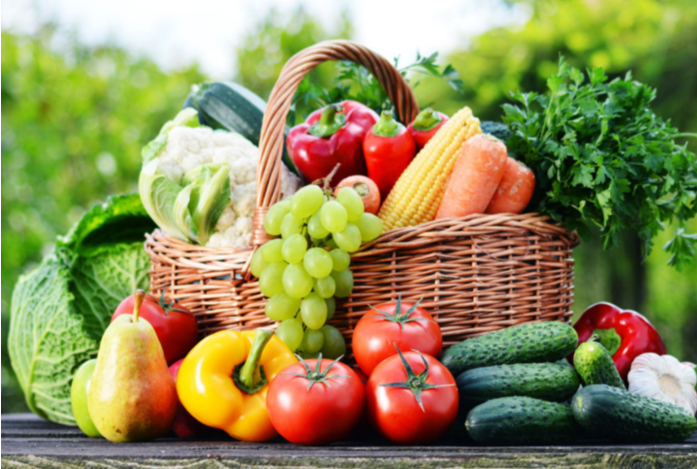 Are you getting enough fruits and vegetables in your daily diet? Nobody is including me. Why? For one thing, our modern produce does not contain the same amount of nutrients as our produce grown in the past. We have depleted our soils. So you need far more vegetables and fruits to get the same benefits as 3-6 per day that was considered to be your daily requirement. Here is another issue. Vegetables and fruits begin to lose their nutritional enzymes within 24 hours of being harvested through respiration. Are you eating them right off the farm? Probably not. Finally, we live in far more stressful times. Stress causes the hormone Cortisol to pour through your body. The more Cortisol, the more inflammation, and oxidation of your cells. Fresh fruit and vegetables are your greatest allies in the fight against aging and modern diseases such as heart disease, cancer, diabetes, metabolic syndrome, and a host of other chronic conditions. 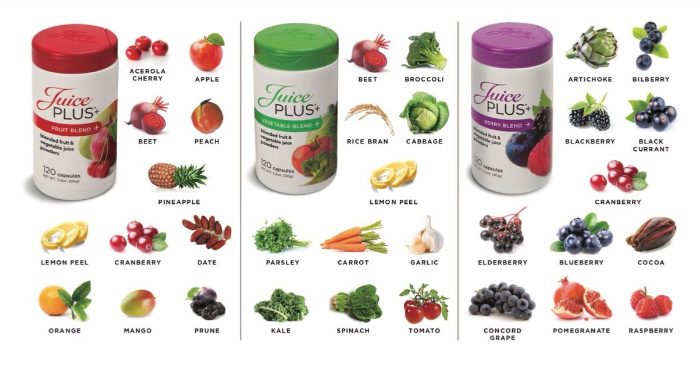 Juice Plus (JP) is a whole food nutritional supplement made entirely of blended fruit, vegetables, superfoods, and whole grain. JP supplements are the most researched supplement of its kind sold in the world. The company works with specific growers that are non-GMO and grow without the use of pesticides. Their produce goes through 6 levels of testing before it is used by the company. The patented processing of the fruits and vegetables takes place within 6 hours of harvesting the fruits and vegetables guaranteeing the preservation of vitamins, nutrients, and enzymes. 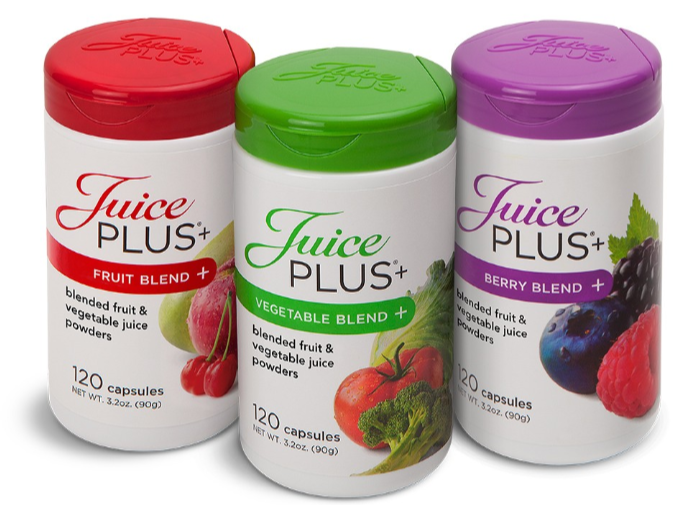 Juice Plus sponsors a child for four years as long as you stay on the products yourself. Your cells turn over every 120 days. I began to notice small, but steady positive effects after this amount of time, including fewer allergies, clearer skin, better bowel movements, and reduced inflammation. I started taking Juice Plus in February. My college-age son, Gabe, gets to take them for FREE for the next four years. It is part of Juice Plus’s commitment to children’s health. This Juice Plus Long range study is looking at the ways these supplements can enhance the health of young people. As a mom, it makes me feel so good knowing that my child is getting 30 fruits and vegetables daily no matter what is on his plate. To sign up for Juice Plus, you can go to my personal website. Click here. If you have any questions about Juice Plus or other health concerns, please feel free to contact me through the Heaven Lane contact page or andrea@heavenlanecreations.com for a FREE 30-minute consultation, and discover how Heaven Lane can work with you on the path to health and happiness.